As a player who would grace literally any team in the world, it's somewhat surprising to hear Luis Suarez say he 'never imagined' he might be worthy of representing Liverpool. But the Uruguayan, who has carved out a reputation as the best centre-forward in football in recent years, couldn't believe his luck when the possibility of a move to Anfield arose back in 2011. Suarez had proven himself as a prolific marksman in the Eredivisie with Ajax, but moved up to a new level after a January move to the Reds, scoring 82 goals in 133 appearances. Although his stint on Merseyside brought only a League Cup and a near-miss in the Premier League, the forward regularly lit up Anfield and has since gone on to win two Spanish titles, three Copas del Rey and the Champions League with Barcelona. And he has still not forgotten the feeling of securing the 'dream' move to Liverpool that proved to be his making. "When I was little, Liverpool was one of the biggest clubs in Europe and was renowned throughout the world," the 30-year-old said in 'What LFC Means To Me: Luis Suarez', the latest in our series of interviews with key figures in the club's 125 years of existence. "So when I found out about the club’s interest in me I was never in doubt because it’s the dream for any player. "I never imagined that I would get the chance to play there." That Suarez still speaks with such affection about Liverpool, three years on from his departure, is largely down to the loyal support of the club's fans throughout his stay. "At Anfield, the fans get right behind you come what may," he added. "The affection that they show to you is just so special, which in turn makes you lift up your head and respond, rather than letting it drop a little. "For me, this is just what the Liverpool fans have." 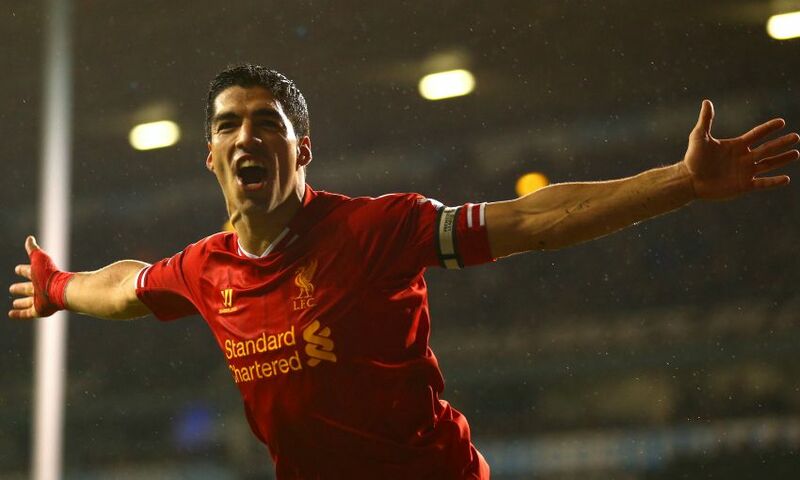 'What LFC Means To Me: Luis Suarez' premieres on LFCTV at 7pm BST this evening. For details about signing up to to the club's official channel, click here.